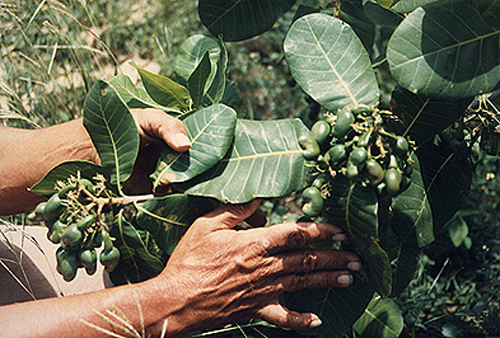 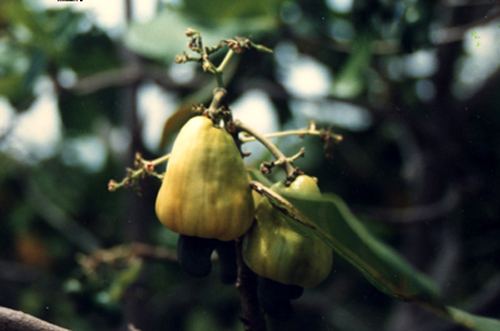 COMMENTS: The nuts of the cashew fruit must be roasted to destroy their toxic properties. 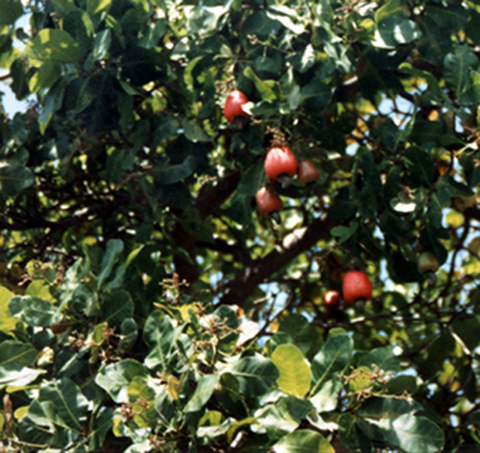 Contact with unroasted shells can cause burning and blistering of the skin. 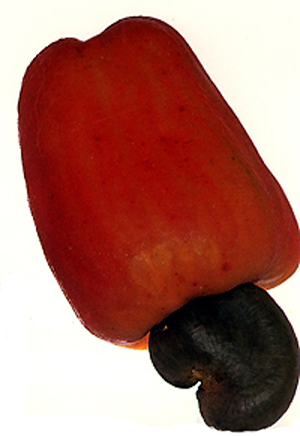 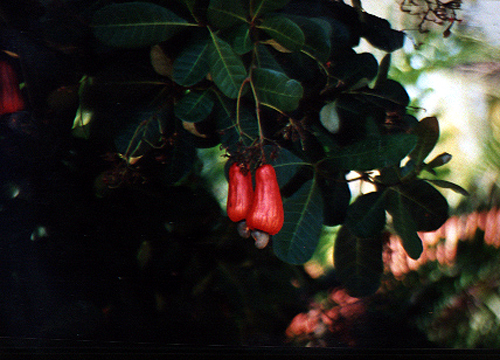 The enlarged flower stalk, called a cashew apple, is preserved as a dessert or used raw as a mild vermifuge.